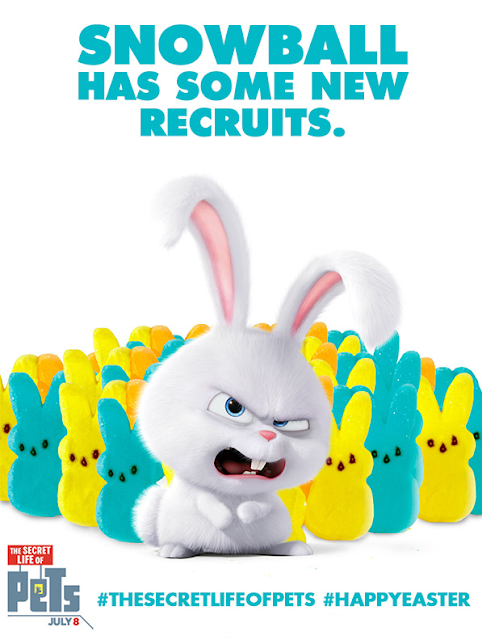 My kids have been looking forward to seeing THE SECRET LIFE OF PETS since they first started seeing its trailers at the theater last year and while they still have a few more months to go before the film debuts they were excited to get another advance peek at the movie with this Easter themed teaser that Illumination Entertainment and Universal Pictures released for the holiday weekend. 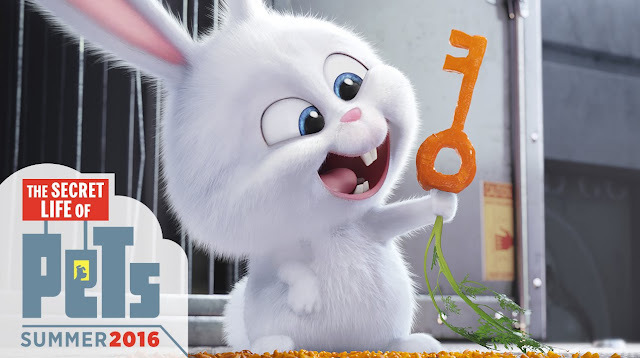 THE SECRET LIFE OF PETS' story revolves around a Manhattan apartment building where a dog named Max has his life as a favorite pet turned upside down when his owner brings home a sloppy mongrel named Duke. Max and Duke have to put their quarrels behind them though when they find out that an adorable white bunny named Snowball is building an army of abandoned pets determined to take revenge on all the happy-owned pets and their owners in their building.